Key Difference: The iPhone 6S comes with a 4.7 inch LED IPS LCD display with a 326 ppi pixel density. The Samsung Galaxy S6 comes with a 5.1 inch capacitive AMOLED screen and a whopping 577 ppi pixel density. Companies have been at constant war to provide new and improved technologies such as smartphones. Smartphones have become a commodity and a basic need for everyone. The newest phones that are hitting the markets are by rivals Apple and Samsung. Apple has recently introduced its yearly update on its flagship with iPhone 6S, while Samsung introduced earlier in 2015 its latest addition the Samsung Galaxy S6. 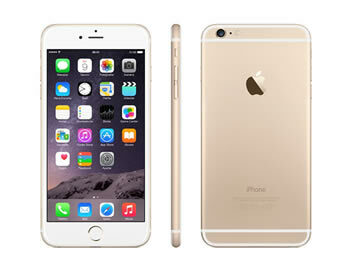 The iPhone 6S comes with a 4.7 inch LED IPS LCD display with a 326 ppi pixel density. Foregoing the Corning Gorilla Glass that other companies use, Apple uses an ion-strengthened glass with an oleophobic coating. The model follows the sleek metal body pattern found on the previous iPhones and features an upgrade in terms of cameras. The phone houses a 12 MP rear camera and a 5 MP front snapper, a significant upgrade from the 8 MP and 1.2 MP found in other phones. The phone also comes with new innovative features such as the Live Photos, 4K recording and 3D Touch. The Live photos records a second of video before the photo is taken and after the photo is taken to create into tiny movies. iPhone 6S also comes with recording and viewing 4k videos. Lastly, the latest 3D Touch feature includes a new more sensitive haptic system that reads the pressure placed on the screen. It allows users to ‘peek and pop’ into applications. Holding down allows users to peak into that application and holding it down longer will pop the application open. Under the hood, the phone comes with the latest Apple A9 chipset, whose speed paired GPU is yet to be announced. However, the company has said that the latest innovative chipset offers a 70% and 90% increase in CPU speeds and GPU speeds, respectively. The phone will come with a 2GB RAM and with the newer iOS 9 OS. The phone will also see a better and improved Touch sensor on the Home screen. The phones comes with three storage options of 16 GB, 64 GB and 128 GB, removing the 32 GB option and no SD card slot. The phone houses a 1215 mAh battery and is offered in a new Rose Gold color option. 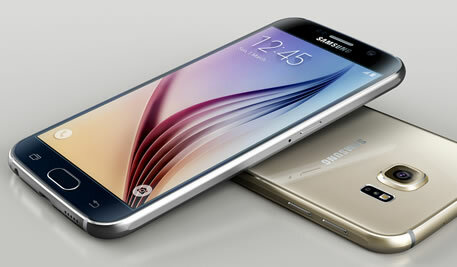 The Samsung Galaxy S6 comes with a 5.1 inch capacitive AMOLED screen and a whopping 577 ppi pixel density. The phone comes with a glass front and back and a metal casing; the front and back is protected with Corning Gorilla Glass 4 to protect from scratches and fall. The phone houses a high definition camera with 16 MP on the back and a 5 MP on the front. The back camera comes with optical image stabilization for less blurry pictures. Under the hood, the phone is powered by the Samsung Exynos 7420 processor and comes with an octo-core processor with four cores clocked at 2.1GHz and another four at 1.5GHz. The phone offers 3 GB RAM and comes in three storage options 32 GB, 64 GB and 128 GB with SD card capability. The phone is powered by a non-removable Li-Ion 2550 mAh battery and has wireless charging.